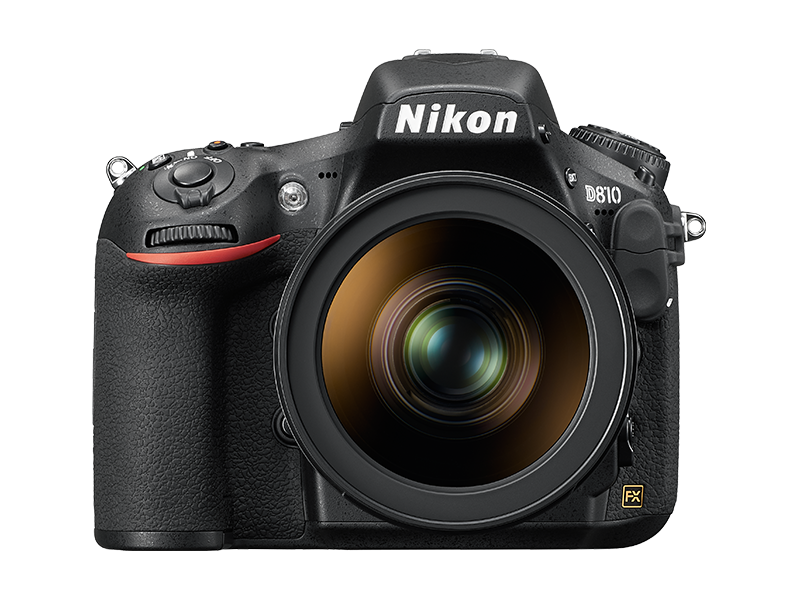 Is an upgrade from the Nikon D800 to D810 really worth it? Most cameras have an anti-aliasing (AA) filter to avoid something known as moire. Basically, it means that really small patterns (ones that are about the size of your camera’s pixels) can look terrible. An AA filter creates a slight blurring effect to tradeoff a little sharpness in order to avoid moire. The D800 had such a filter, and the D800e had elements of it to keep the two cameras somewhat similar for manufacturing reasons. But the D800e really didn’t show much moire and Nikon has further enhanced its in camera processing to further reducing it, so that an AA filter is no longer necessary. That means that, even though the D810 has 36 million pixels like the D800, it produces noticeably sharper images. The D810 also includes an “electronic front curtain shutter”. This means the camera’s internal mechanisms produce less vibration, so that the images are sharper. When used with mirror-lockup (or exposure delay mode) and the camera on a tripod, this helps produce the sharpest possible images. In addition being sharper, the D810 also has the more powerful Expeed 4 processor, which enables it to produce images with less noise at higher ISO. That means I can avoid grain when shooting at a higher ISO, which is especially helpful for shooting handheld photos or action in low light. There are a lot of situations (especially around water), where I want to use a slow shutter speed. Having a lower ISO means that I can shoot in brighter light without having to use a neutral density filter (which slows me down and can vignette the corners of the image). And with some lenses, such as the Nikon 14-24mm, there really isn’t an option to use a neutral density filter. On the D800, you start to lose dynamic range (highlights blow out more easily) below ISO 100 and the camera isn’t capable of going below ISO 50. With the D810, you can shoot at ISO 64 without penalty, and can shoot as slow as ISO 32 if you’re willing to give up a little dynamic range in the highlights. That may sound like a small change, but it means that I have the option to set the shutter to 13 seconds instead of 8 when I really want to smooth out moving water or eliminate tourists at a popular site. One of the few things I don’t like about the D800 is that its huge files can quickly fill up the buffer, which means you can get stuck waiting for the camera to write images to your memory cards. That’s understandable considering I like to shoot 14-bit RAW files, but thankfully the D810 further raises the bar by doubling the size of the buffer. That means that even when I’m shooting at high speed with and high quality images, the camera can keep up with me so that I don’t miss the action. I still like to be very judicious to save space on my cards and time reviewing images later, but it’s great to have the flexibility when you need it. The D810 also includes the “group area AF” focusing capabilities of the D4s. This helps the camera keep auto-focusing accurately on your subject when shooting in continuous drive. And the D810 has improved both the optical (pentaprism coating) and LCD (OLED) viewfinders so that you can more accurately capture and review images. While these don’t matter quite as much to me, the D810 also adds a few other notable features, including a better LCD, highlight priority metering (definitely a plus for theatre/stage lighting, and may be good for some high contrast landscapes), better video considerably (quality, zebra stripes, faster frame rates, auto-ISO in manual mode, and built-in stereo) and better battery life (a welcome addition for me, especially to be able to lockup the mirror for sensor cleaning without swapping batteries quite as frequently). And thankfully, the D810 finally allows Nikon users to show with brackets with greater 2-stop increments (which is very useful for shooting HDR quickly, which is a real benefit when the light is dropping quickly at sunset). I’m also excited by Nikon’s promise to release a software development kit for the D810 to enable better 3rd party support (who knows what fun surprising that will bring). Nikon has made a great camera even better, no doubt. There is one missing feature that blows my mind…. no WiFi. It makes no sense to me that it’s dramatically easier for me to share photos from my phone than from my fancy professional camera. The CamRanger is an awesome tool that adds much of this functionality to the camera, but I’d much prefer the simplicity, size, and weight of having this functionality built right into the camera. I’d also like to see Nikon offer much longer shutter speeds. There are numerous times when I need to use bulb exposure to shoot exposures longer than 30 seconds. 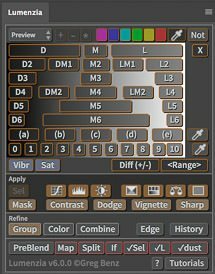 This would be helpful for bracketing a lot of sunrise/sunset photos (that often stretch into the 1-4 minute range for me). I realize we may be beyond the limits of the meter here, but being able to manually set these times would be very helpful. And (this is getting well off the mainstream path, but while I’m at it) I’d love to see a test exposure mode to determine long exposures where the built-in meter isn’t reliable or just to have confidence in the image before you commit to an exposure that will take several minutes (at sunset, that single exposure may well be the only one you can take before the light is gone). I often take test images at high ISO and fast shutter speeds (such as 2 seconds at ISO 6400), check the histogram, adjust and retest if needed, and then switch to ISO 100 and the corresponding shutter speed (for example, 2 minutes at ISO 100 in this case). This sort of process could be automated fairly easily to help take stunning long exposure images with much less fuss and experimentation. Absolutely. Everyone has different needs, but the D810 gives me the power to create enormous canvas enlargements, and yet use the same camera to shoot action and portraits. The image quality alone was probably worth it, but the faster speed sealed the deal for me. I’ve been shooting with a D700 as second body and backup to my D800. That left me with a tradeoff between speed and image quality. With the D810, I no longer feel like I’m making those tradeoffs and my large prints/canvas will look better than ever. It’s been a great partner for the last 4 years, but it’s time for my D700 to find a new home.